I though I’d do something different today. This image is a black pebble beach along the Washington Coast. The low contrast caused by the fog gives this image a very moody, atmospheric look. The photo was captured on film and processed to a positive (vs, a negative which would be the most common practice) by DR5, a lab that specializes in that process.. 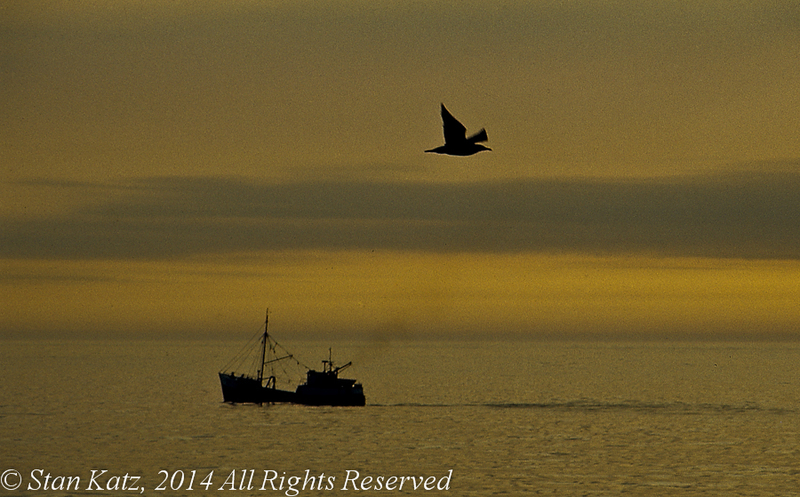 The sun setting behind the clouds allowed me to silhouette the fishing boat. This was shot on color slide film developed normally. The slide was scanned into Photoshop where it was rendered to Black & White. Some adjustments were made to contrast and exposure. The image was also cropped substantially giving the image some graininess. 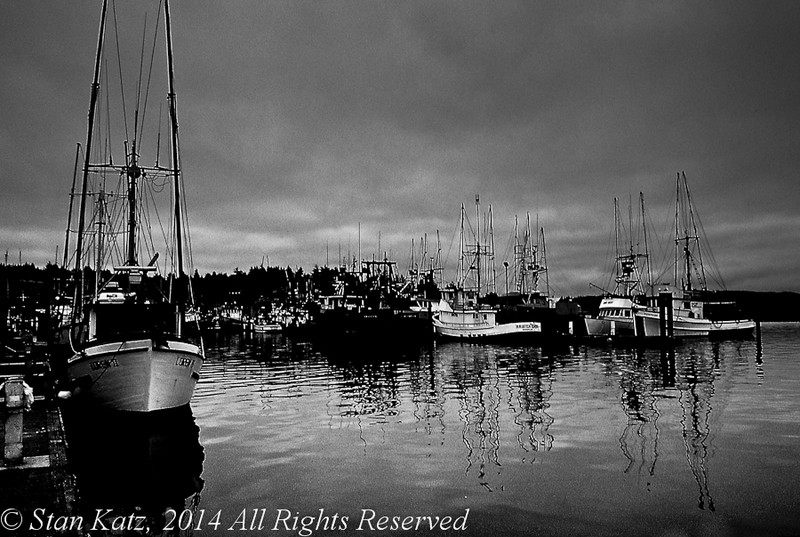 I’ve always found boats and harbors to be fascinating and to offer interesting photo opportunities. Threatening skies make it better. This was shot on a Ektachrome G100e slide film. It was scanned into Lightroom where the exposure and contrast were adjusted. 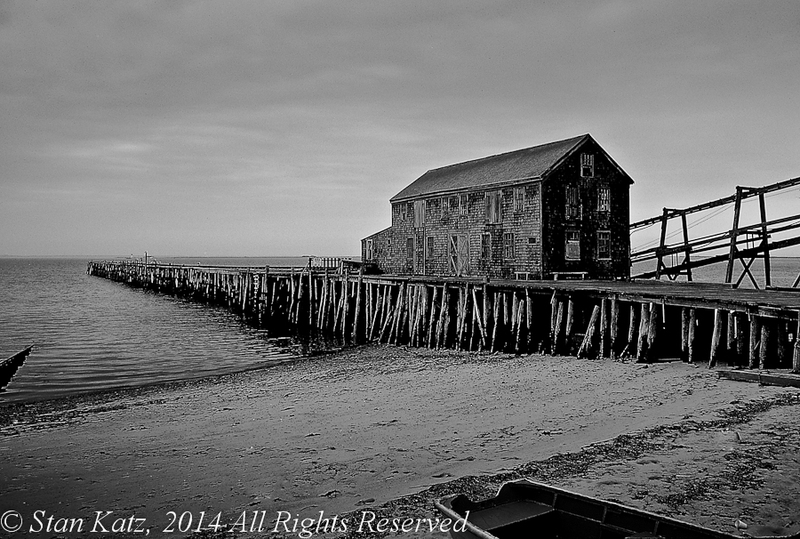 The image was rendered to Black& White via a Lightroom preset. This image was taken while walking along a beach in Maine. It was an overcast day with subdued light creating an image with relatively low contrast.